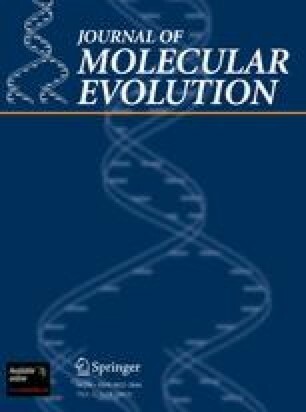 This paper shows that questions of an unexpected phylogenetic depth can be addressed by the study of mitochondrial DNA (mtDNA) sequences. For decades, it has been unclear whether coelacanth fishes or lungfishes are the closest living relatives of land vertebrates (Tetrapoda). Segments of mtDNA from a lungfish, the coelacanth, and a ray-finned fish were sequenced and compared to the published sequence of a frog mtDNA. A tree based on inferred amino acid replacements, silent transversions, and ribosomal RNA (rRNA) substitutions showed with statistical confidence that the lungfish mtDNA is more closely related to that of the frog than is the mtDNA of the coelacanth. This result appears to rule out the possibility that the coelacanth lineage gave rise to land vertebrates; hence, morphological characters that link the latter two groups are possibly due to convergent evolution or reversals and not to common descent. Besides supporting the theory that land vertebrates arose from an offshoot of the lineage leading to lungfishes, the molecular tree facilitates an evolutionary interpretation of the morphological differences among the living forms. It would appear that the common ancestor of lungfishes and tetrapods already possessed multiple morphological traits preadapting their locomotion, circulation, and respiration for life on land.